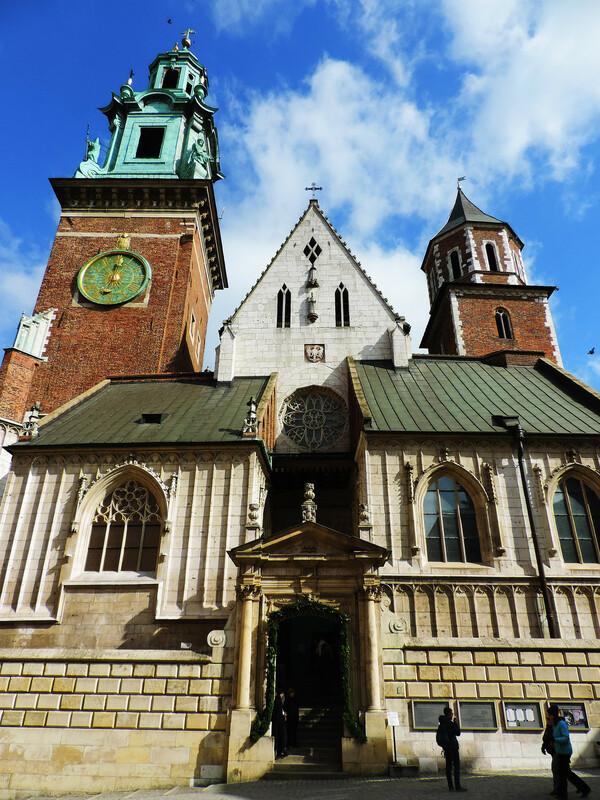 One of the most surprising things for us in Krakow was the vast number of huge and gorgeous churches in its relatively small Old Town. 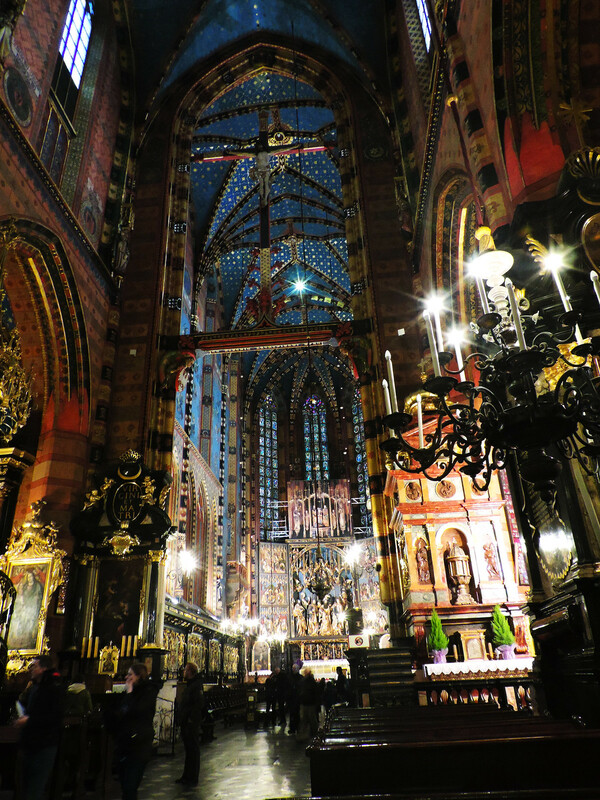 We love architecture and we admire beautiful churches anyway, but Krakow amazed us with some outstanding one! 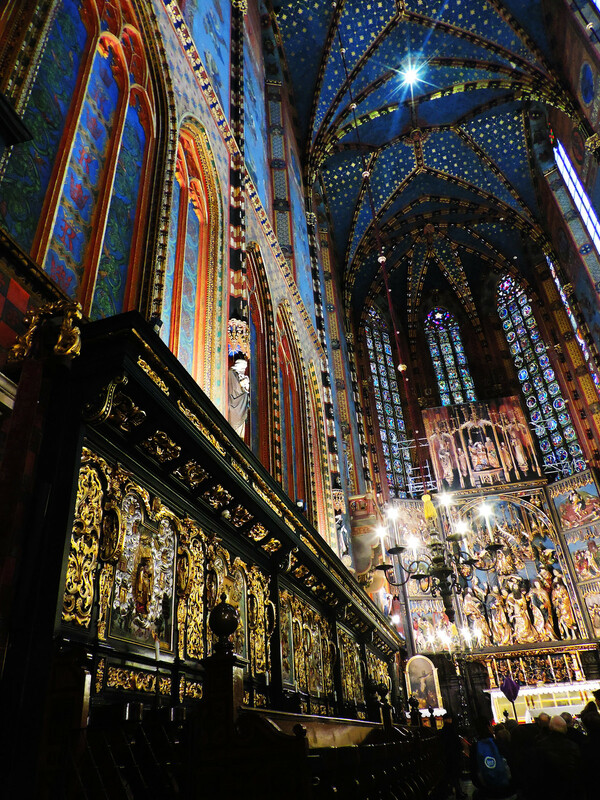 In this photo essay we are sharing our favorites in pictures and encourage you to visit some of them while visiting Krakow. 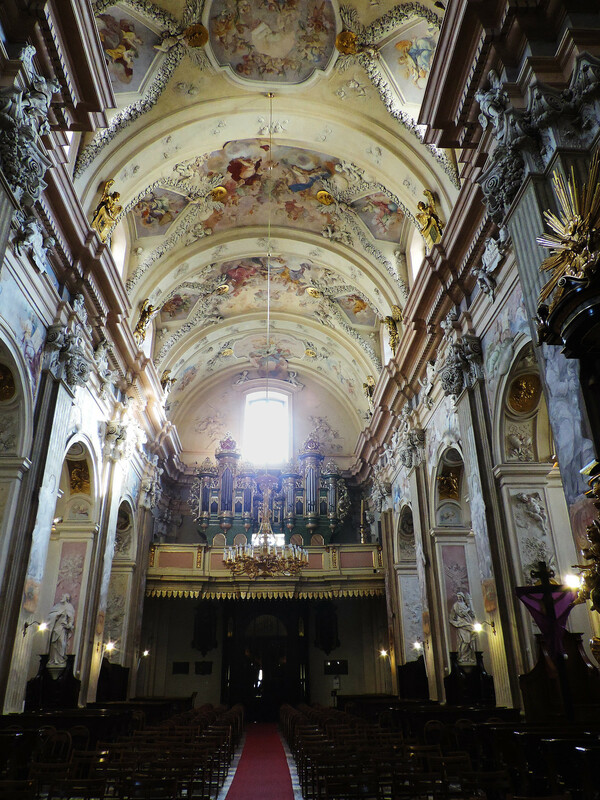 Bonus: except one (St Mary), they are all free to visit! 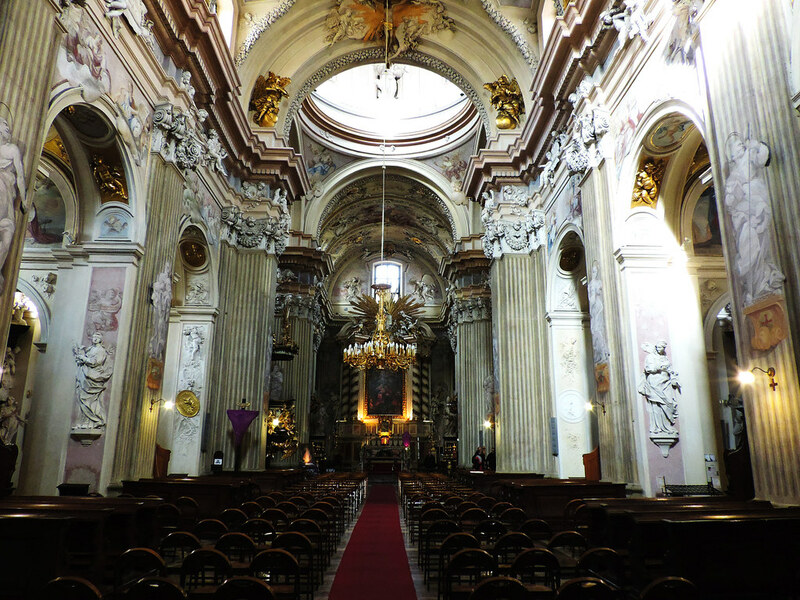 This is the most famous one located on the Main Square and our opinion is that it’s definitely worth to buy the ticket to see its interior as well. 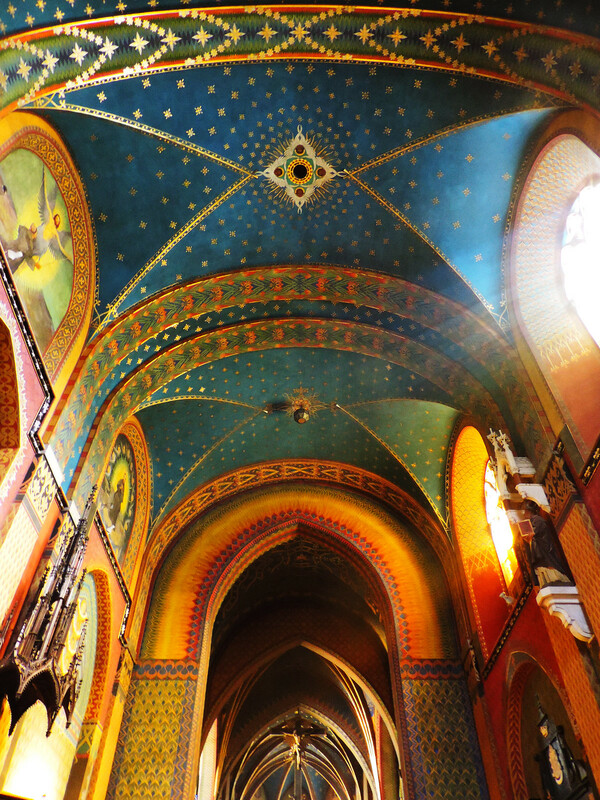 It’s not just huge, but it’s very colorful and the ceiling is painted to look like the dark blue sky with millions of bright stars. This one was a nice surprise. We haven’t planned to visit it and it doesn’t even look special from the outside, but since we walked right next to it anyway, we decided to go in. 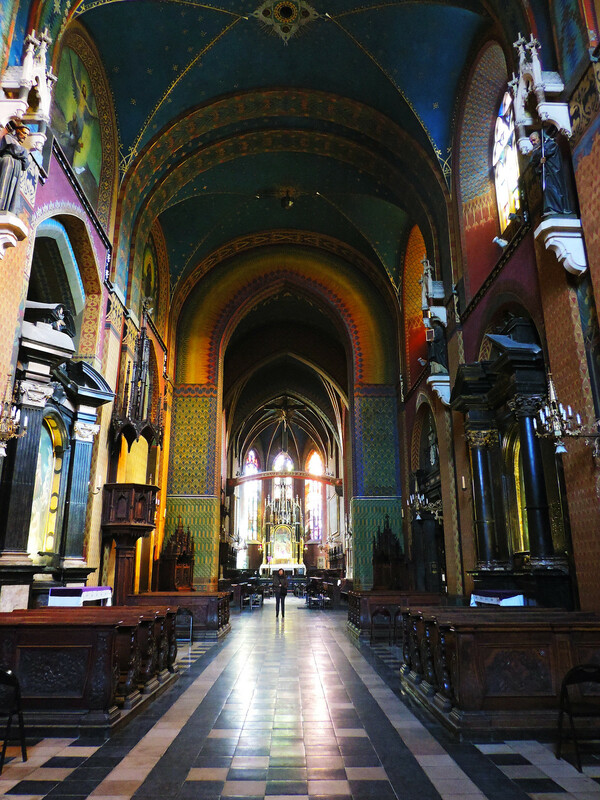 The interior is the most colorful we’ve ever seen in a Christian church! 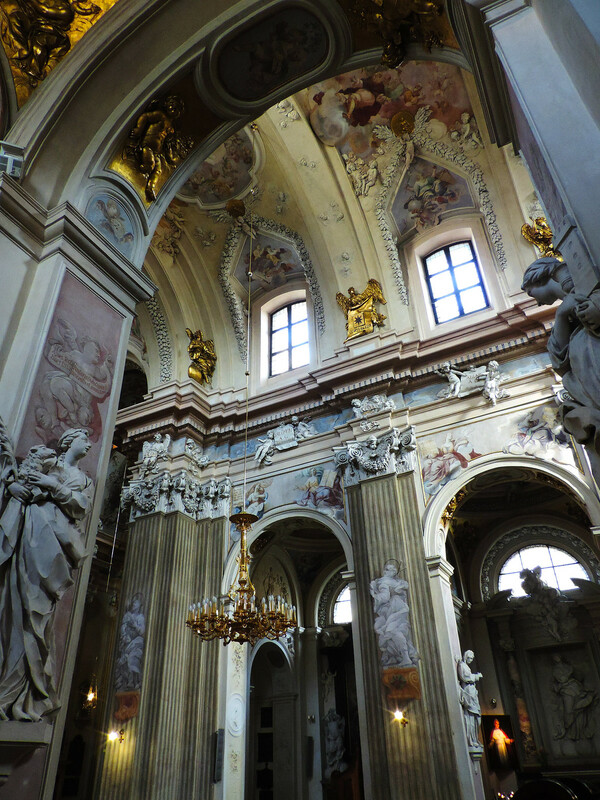 A beautiful Baroque Church which is attached to the Jagiellonian University dating back to the middle ages. 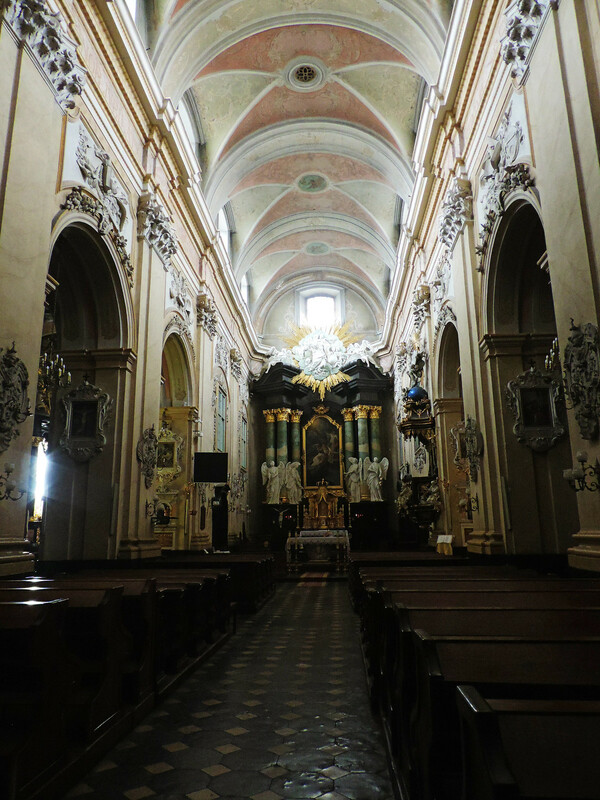 Skałka & the Pauline Monastery is a bit out of the center which makes it a quiet, peaceful place. 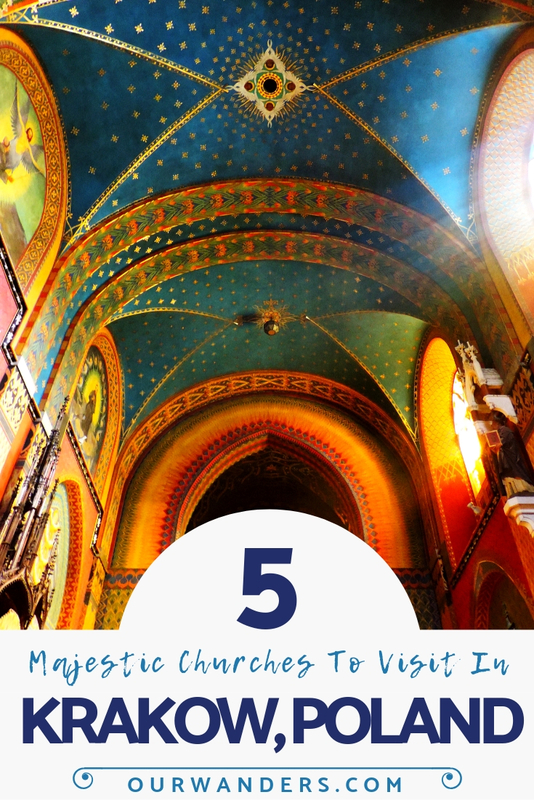 Do you like visiting churches? Which ones have you found the most amazing?